We are down to the last few days before baby M’s first birthday. If you late to the crafting prep party, catch up on the other decorations I’ve made for my son’s Crayola themed first birthday party here, here, and here. I still have quite a few decorations that I need to put together but I think we are on track. I’m a sucker for great little details at any event. Details like ribbons, special wrappings, or nice plating. I think it is all beautiful. So, I thought that little toothpick paper flags would be a sweet touch to the slider hamburgers that are on the menu. They aren’t only adorable but they are super easy to create and need only a few materials. Step 1. Measure out 1 1/2 inch wide strips on your card stock lengthwise. 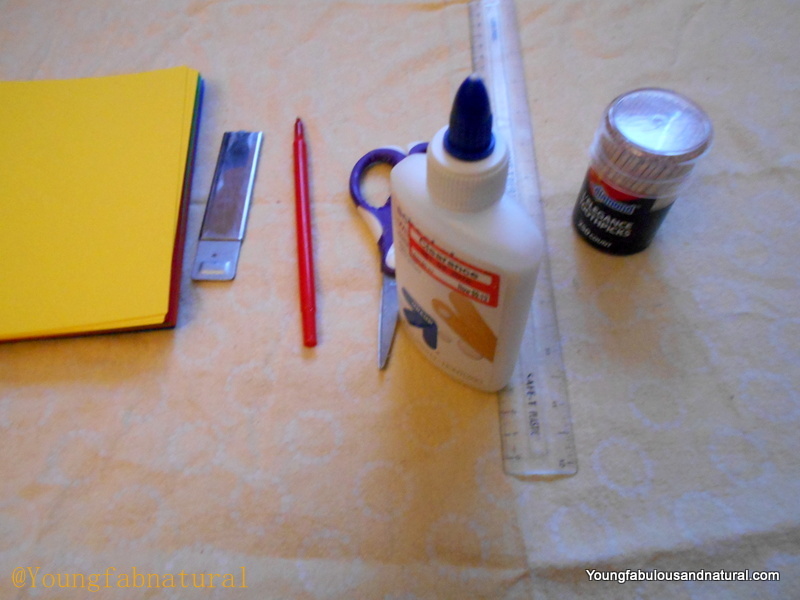 Use your ruler to create straight lines. Cut out the strips of paper using your scissors or razor. I found that the razor gave me a straighter result. Step 2. Stack up the strips and cut them in half. Step 3. 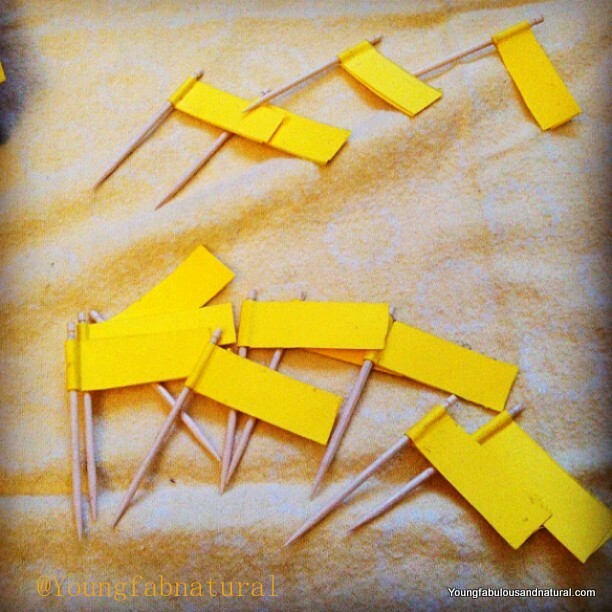 Fold one of the strips of paper in half and add a thin layer of glue. Put your toothpick in the corner of the fold and press the glued pieces together. Step 4. To make sure the paper doesn’t slip and slide, reinforce the crease with a straight edge. I used the blunt side of the razor.